The desire to have a dream wedding is not unknown or new to any girl. Ever since a girl start dreaming about her wedding, she envisions an absolutely whimsical wedding where she could look her gorgeous best and dazzle in the most stunning outfits. For this she has to pick the most exquisite dresses for all the wedding functions starting just right from her engagement. While it is easy to pick the traditional attires like Sarees and lehengas for the wedding ceremony, finding the ideal dress for engagements is quite a tricky task. Moreover, most engagements now-a-days are intimate family affairs that call for a contemporary dress with the right touch of ethnicity. And, which other dress could be better than the indo western dresses? Don’t believe us? Sneak peek in our list of 15 latest indo western outfit ideas that are ideal for engagement and you would understand the whole fashion game for your engagement. 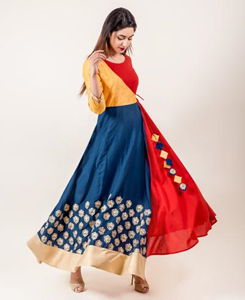 Lookalike of a traditional lehengas, this indo western style Anarkali dress is embellished with Aari embroidery for imparting a grace and elegance to it. With a tulle dupatta and great styling, you are sure to rock your engagement ceremony in this dress. If budget is not an issue for you and you really want to dazzle through all your wedding functions, you can shop this gorgeous indo western gown from the Manish Malhotra’s collection. 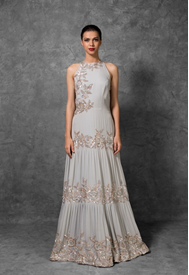 Adorned with silver and gold sequin floral embroidery, this is indeed awesome for your engagement. Crafted on a georgette base, this stunning Anarkali dress in mint green hue is a sure way to fetch lots of compliments. With sheer neck and sleeves, this dress has embroidered detailing; matching dupatta style drape and great fit to assure a princess look for you. You can shop this stunning piece from Pernia’s Pop-up shop. 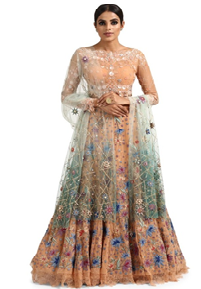 The indo western Anarkali gowns are the most preferred women clothing for engagement ceremonies or cocktail parties and if you want to ditch the traditional colors, you can pick this stunning piece from sonas haute couture. The beautiful printed fabric is combined with zardosi, sequins and threadwork for a beautiful look. Nothing short of a fairy outfit, this coral colored indo western style suit set is a pure bliss for all the would-be brides. With hand embroidered butas and thread and zari embroidery all over, this is a perfect combination of ethnicity blended with contemporary swag. 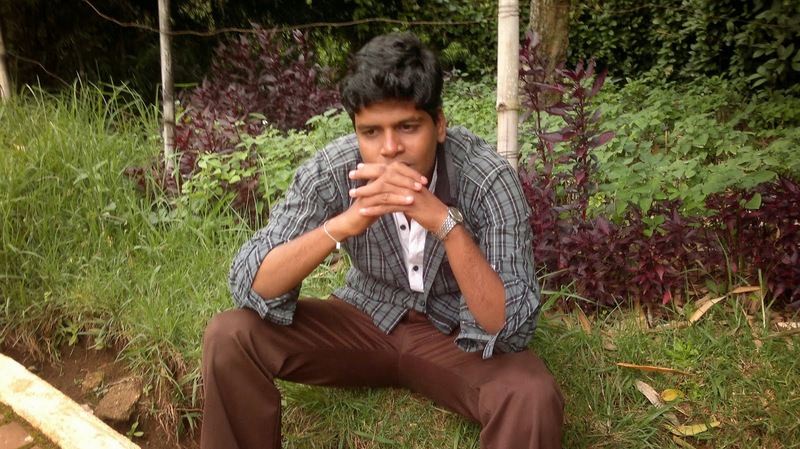 For more similar products you can visit Kimaya. If you have already spent a great deal on your wedding and want to look for a budget friendly option for your engagement ceremony, you can pick this stunning indo western jacketed dress from Missprint. Adorned with gorgeous gold prints, this long dress is elaborately mesmerizing and exudes a timeless feminine flair. Another beautiful piece from Sonas haute couture, this is a bold option for indo western ensemble. This chic Jade and gold dress has beautiful embroidery blended with Swarovski work all over to make it a stunning choice for the engagement ceremonies. 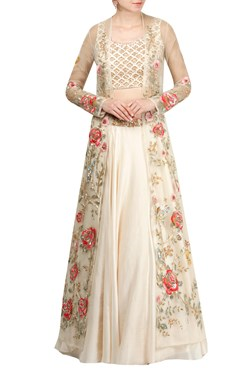 Subtle hues of ivory paired with beautiful and colorful embroidery makes this stunning jacket style indo western dress. Fabricated from georgette fabric and adorned with dupion silk, zardosi embroidery and long jacketed style, this dress can be shopped from carma and make you look stunning during embroidery. 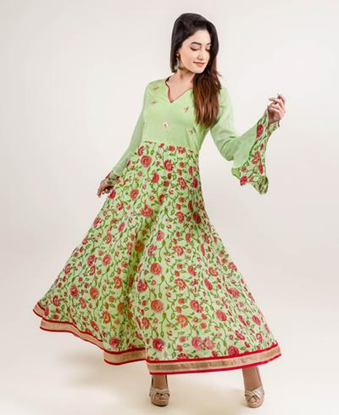 Another budget friendly option from the house of Missprint, this lime and red long indo western Anarkali gown dress has all the swirls and twirls to make you look gorgeous on your engagement. Paired with embroidery, bell sleeves and fancy neckline, it would give all the liberty to look mesmerizing without hitting hard on your pocket. When vintage pink colored kurta is paired with embroidered silk sharara, the result is a mesmerizingly gorgeous indo western outfit that is ideal for engagements and other wedding ceremonies. The sheer panel with zari and dori work assures that it has every essence that can make any outfit wonderful and whimsical. 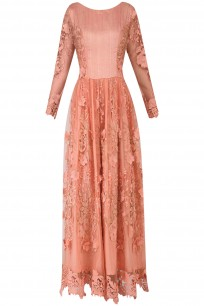 Fabricated from a combination of crepe, georgette and satin, this beautiful peach colored indo western long maxi dress is a sure way to impress your would-be spouse during your engagement. With printed panels and embellished neckline, this halter cut dress is damn pretty. Designed from a multitude of fabrics, this designer indo western ensemble from pernia’s pop us shop is an ideal pick for your engagement ceremony. 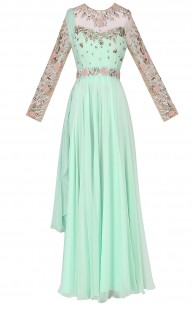 Embellished with three dimensional floral work over sheer sleeves and hemline. The hand work on this beautiful dress make it extremely gorgeous outfit. Finding budget friendly outfits for engagement ceremony is a pretty difficult task but, Missprint has a wide range of indo western dresses at economical prices and hence, this stunning long indo western dress is an ideal choice for those looking for a budget friendly option. With gold prints, tassel and multi-colored look, this polished outfit will give you a grace on your engagement ceremony. Straight from the collection of kimaya, this beautiful Anarkali style indowestern attire has a vintage charm paired with unique styling in a blush pink handloom chanderi fabric. Embellished with kasab dori embroidery and other hand work detailing, this dress is a great choice for engagement ceremonies. Cape indo western dresses are the hottest trend that is ideal for engagement ceremonies. With a combination of gown and sheer cape, this hottest dress has been adorned with beautiful golden embroidery that makes it a sassy choice for you.